It’s known, or at least believed, that transit times of some ocean waters can be as long as 1,000 years. The researchers are well aware that this exceeds the time since some well-known warming and cooling periods in the Earth’s past, such as the Medieval Warm Period and Little Ice Age. Whereas most of the ocean is responding to modern warming, the deep Pacific may be cooling, say researchers. The ocean has a long memory. When the water in today’s deep Pacific Ocean last saw sunlight, Charlemagne was the Holy Roman Emperor, the Song Dynasty ruled China and Oxford University had just held its very first class. During that time, between the 9th and 12th centuries, the earth’s climate was generally warmer before the cold of the Little Ice Age settled in around the 16th century. Now ocean surface temperatures are back on the rise but the question is, do the deepest parts of the ocean know that? Researchers from the Woods Hole Oceanographic Institution (WHOI) and Harvard University have found that the deep Pacific Ocean lags a few centuries behind in terms of temperature and is still adjusting to the entry into the Little Ice Age. 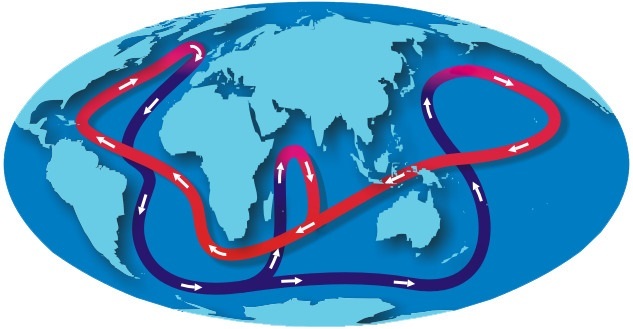 Whereas most of the ocean is responding to modern warming, the deep Pacific may be cooling.